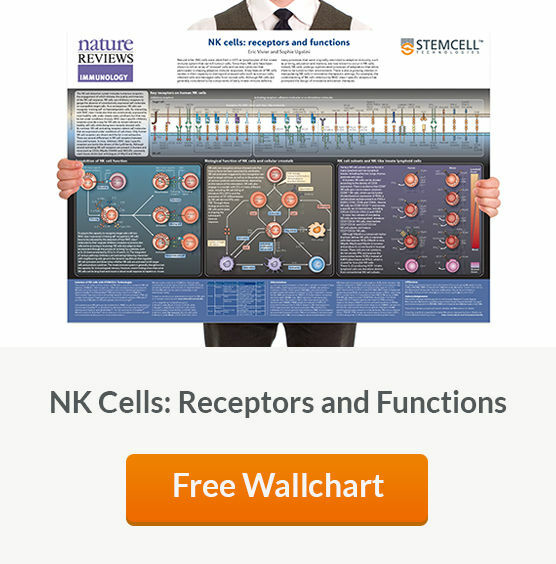 Natural Killer (NK) cells, a rare subset of lymphocytes with polymorphic receptor expression, are a vital component of the innate immune system. See MoreStimulated via signals from complex, NK-specific ligand-receptor interactions, NK cells can display cytolytic activity against “altered self” (i.e. 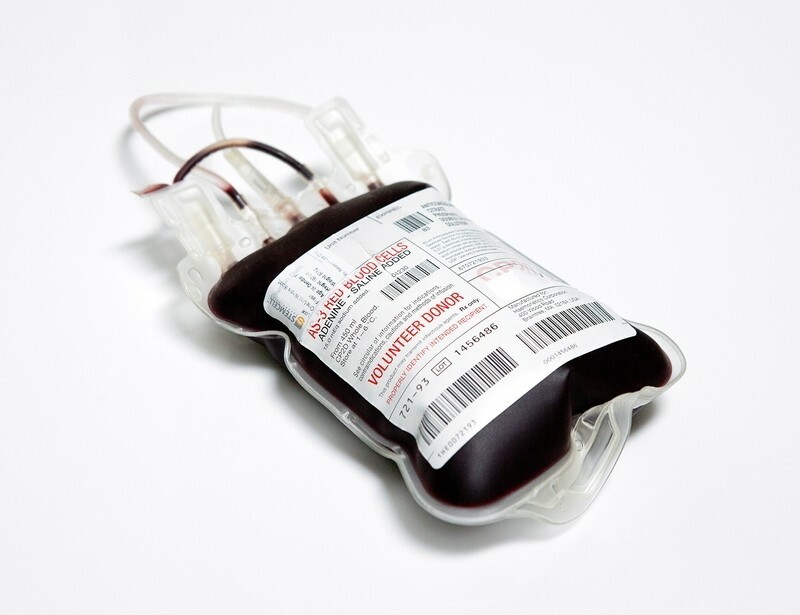 virus-infected or cancerous) cells, despite lacking conventional antigen specificity. They can also produce potent immunoregulatory cytokines that modulate the adaptive immune response, and thus serve as interesting candidates for cancer or viral immunotherapy. 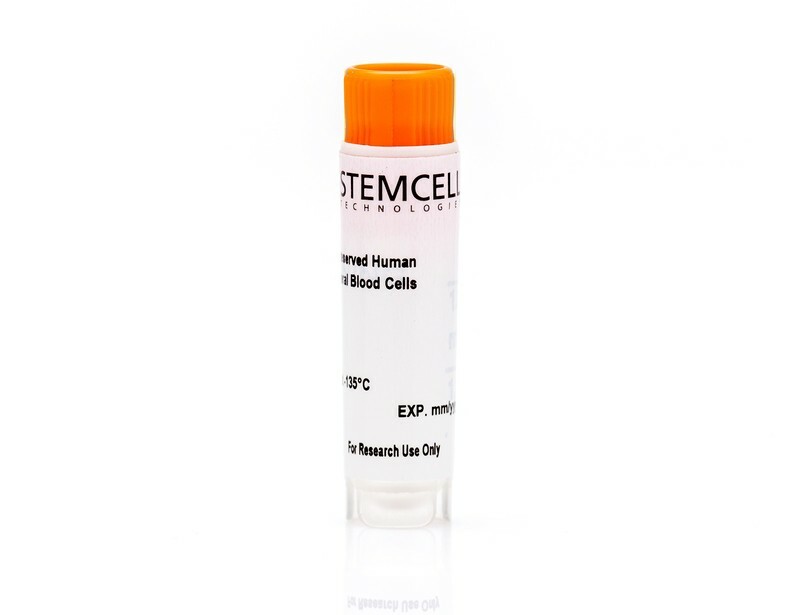 For a convenient source of cells, STEMCELL Technologies offers frozen primary human NK cells1 from either peripheral or cord blood, isolated by either positive or negative immunomagnetic selection. 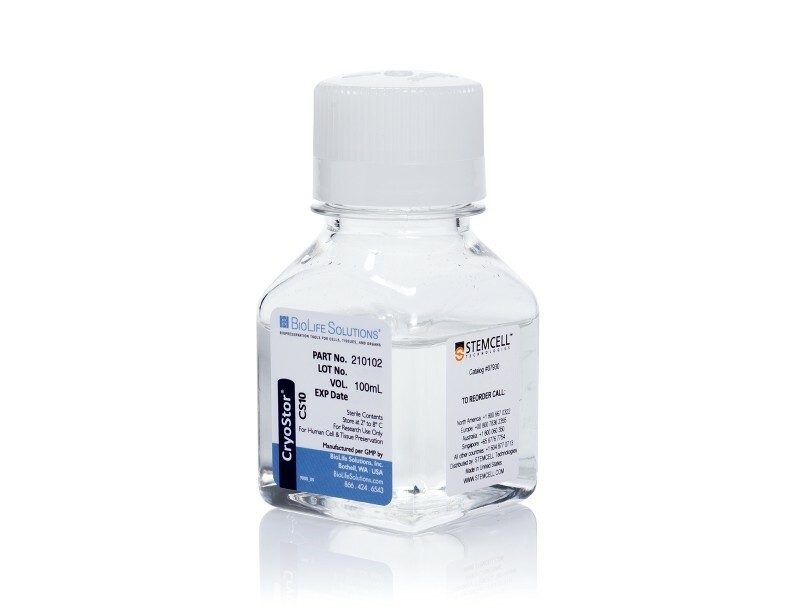 Thawed NK cells are viable, functional and ready for use in downstream assays. 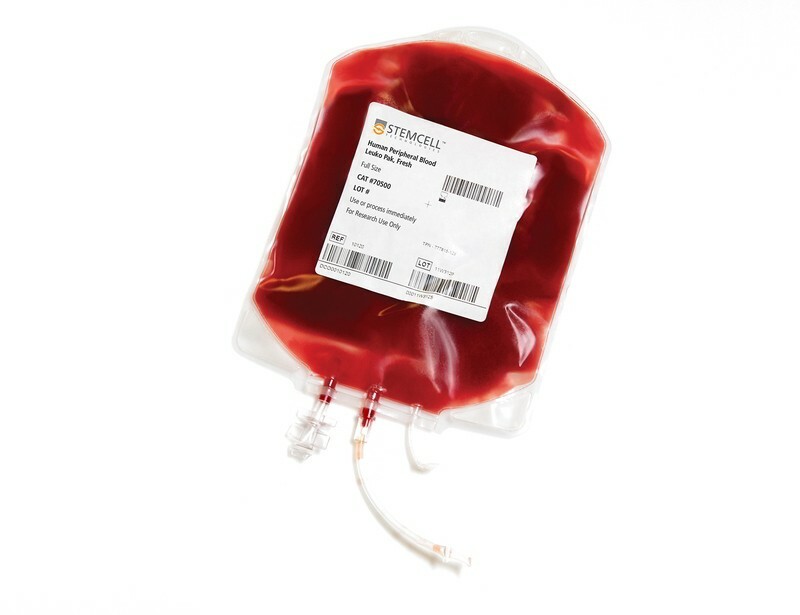 We also offer fresh1,2 peripheral blood and Leuko Paks for further processing and NK cell isolation.